There is no substitute for face-to-face presentations. 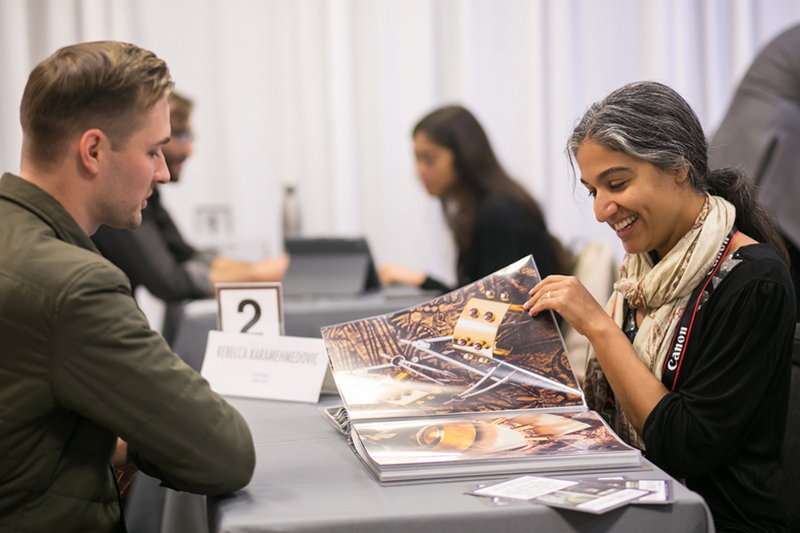 Designed exclusively for emerging and professional photographers, attending this Portfolio Review program represents an incredible opportunity to obtain valued feedback and critiques from industry’s top professionals, as well as the possibility of new assignments and relationships. You select and prioritize the reviewers you want to meet with! Choose from over 175 top industry pros from both the commercial and fine art realms of contemporary photography. It is a cost effective way to show your work to museum curators, gallery directors, book publishersand others who you would not normally find accessible. Every registrant for the Official Portfolio Review program receives FREE admission to PhotoPlus Expo!